Hurd admits approving questionable activities, even as board Chairman Dunn resigns and the HP imbroglio moves into a new phase. Fortune's David Kirkpatrick asks, where is the real transparency? Palo Alto, Calif. (Fortune) -- The HP spying scandal got a little bit more complex on Friday. On the one hand, at a press conference at the company's headquarters, CEO Mark Hurd admitted to knowledge of at least one seriously questionable investigative technique used to uncover who among its directors was leaking information to the press. On the other, the resignation of board Chairman Patricia Dunn suggests that the new company line may be to blame the possibly illegal lapses in ethics and judgment on the board, not company management. 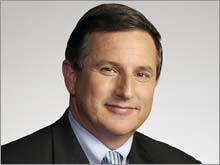 Chief executive Mark Hurd will also be the chairman of the company's board. A controversial leak investigation has enveloped Silicon Valley stalwart Hewlett-Packard. HP discloses that "pretexting" was used during an investigation into company leaks. California Attorney General Bill Lockyer says he's investigating the tactics used. HP confirms the phone records of nine journalists were targeted during the internal probe. HP's board of directors convenes an emergency meeting but no action is taken. HP says the U.S. Attorney for Northern California has requested information related to its probe. House Committee on Energy and Commerce asks HP to hand over documents related to the investigation. HP says Patricia Dunn will step down as chairman of the board in January and will be succeeded by CEO Mark Hurd. Board member George Keyworth resigns. Dunn resigns as chairman and member of the board. Hurd takes over chairman position. Two senior HP (Charts) officials closely involved with the investigation were fired today, according to well-informed sources. One was Anthony Gentilucci, who headed investigations for HP, and the other was the internal lawyer who oversaw the effort from inside, Kevin Hunsaker, who also was the company's chief ethics officer, of all things. The word from a source close to the investigation is that these two, in the opinion of Hurd, were essentially renegades operating at the behest of the board and went considerably beyond proper bounds in pursuing the project. One of the great mysteries of this entire story has been how Hurd, Dunn, HP Chief Counsel Ann Baskins, and others in the company could possibly have believed that it was legal or ethical to obtain phone records of individuals by "pretexting" - pretending to be those people in calls to the phone company so the phone company could reveal their data. Such pretexting was done, the company confirmed Friday, to 7 directors, 9 journalists, and two employees, as well as, in some instances, members of their families. An internal company e-mail Fortune has obtained explains at least part of that mystery - the legality part - though it does not exonerate HP's leaders from their responsibility to use common sense and an ordinary sense of ethics. The e-mail, from Hunsaker to his boss, Chief Counsel Baskins, dated May 1, 2006, strongly argues on several grounds that the practice of pretexting is "not unlawful," and says clearly that "the Investigation Team is confident that all phone records information obtained during the course of the investigation was obtained in a lawful manner." Hunsaker writes that the laws of the states where the pretexting occurred did not prohibit it, and that the practice has been "a common investigative tool that has been used by professional investigators and law firms for more than 20 years - this fact was confirmed by discussing the issue with a number of experts in the field." However Hunsaker also notes that Florida, where the subcontractor that oversaw the pretexting was located, had already passed a law that would make the practice illegal on July 1. That is hardly the strongest endorsement of the moral or ethical rightness of taking such an action, but it does to some degree help one understand why Baskins was not more alarmed. Hunsaker's having sent such an e-mail could help explain why he no longer is employed at HP. In the press conference, Hurd said that he had approved of a company plan in March to send a fraudulent e-mail to Dawn Kawamoto, a reporter at CNET. The e-mail to Kawamoto was intended to appear to be a leak from a (fictitious) disgruntled senior manager. The investigator's ostensible aim in sending it was to use it to implant, via an attachment, a software tracer in hopes that she would forward the message to a director who had been leaking information. Hurd said that while he did know of the effort to send the e-mail, "I do not recall seeing nor do I recall approving the use of tracer technology." That leaves several questions unanswered. What did he think was the purpose of sending such a fake message, if it was not to do tracing? And why did he agree to doing something clearly wrong, by any common-sense standard? Hurd took no questions, because the company's lawyers don't think he should "pre-empt" the questions of a congressional committee before which he will testify next week, according to an HP public relations person who spoke beforehand. The HP mess has moved into a new phase, in which Hurd and Dunn are increasingly likely to be at odds. I wouldn't be surprised to see them soon trading charges about what each did or didn't know. This despite the pretty-sounding press release HP issued today announcing Dunn's departure, in which Hurd is quoted as saying "There is no doubt in my mind that [Dunn] had the best interests of HP in mind throughout her time on our board." Meanwhile, Dunn says in the release "I followed the proper processes by seeking the assistance of HP security personnel. I did not select the people who conducted the investigation, which was undertaken after consultation with board members." The battles lines may be being drawn. While getting rid of some of the employees whose judgment was most egregious is clearly a step in the right direction, Hurd needs to do much more to reassure HPs customers, employees, and investors that such huge lapses in ethical standards and judgment will be less likely in the future. The fact that the company's chief ethics officer was orchestrating the unethical behavior suggests that policies, internal education and attitudes inside the company are seriously in need of remolding. HP has historically positioned itself as the most ethical and conscientious of all large tech companies. That the company that uses the highest-minded rhetoric is the one now dragged into the muck is tragic. As Hurd said Friday, "it has always been our deep values and beliefs that have set us apart from our competitors." While Hurd announced that the company has hired an eminent outside attorney to conduct an extensive review of the company's "investigative methods and...Standards of Business Conduct processes," that does not go nearly far enough. The world is still waiting for Mark Hurd to practice the transparency that he said Friday has been "my goal from the beginning."